All trainees who are in Sydney are expected to attend Thursday afternoon teaching. We have a strong culture of protected teaching ensuring that trainees from all metropolitan secondment can attend with appropriate clinical cover for their ward responsibilities. The RPA Network provides an internal lecture series, which is a comprehensive program of over 100 lectures incorporating all aspects of internal medicine. This forms the basis of preparation for the RACP Written Examination. More importantly however, it provides a framework of knowledge to build on for future practice as a clinician. There is a lecture every weekday morning from 7:30-8:30am from August to February. This is protected teaching time for Basic Physician Trainees. In addition, trainees have weekly protected time from 3:30-5:30pm on Thursdays to attend structured teaching sessions. Early in the program we revise examination skills (beginning of year 1), including on secondment at rural sites. Written candidates are also encouraged to attend the clinical examination preparation sessions to gain early exposure. In January and February, in the lead-up to the FRACP Part I Written Examination, the morning and Thursday afternoon teaching sessions switch focus to the Investigational Series and MCQ sessions. these important in the context of the examinations, but they are integral to clinical practice. MCQ sessions are an opportunity to cover practice questions with senior sub-specialty clinicians and to enhance knowledge of common topic areas for exam preparation. MCQ examination technique is also covered in the lead up to the exam. A BPT-led journal club is held weekly. This is an interactive meeting where the latest research and important review articles are discussed. These sessions complement the comprehensive lectures series by providing an opportunity to develop and enhance trainees' skills in critical analysis of journal articles, as well as covering the foundation of MCQ questions in the RACP Written Examination. Each year, the RPA Network produces a full, 100 question internal trial written examination held under exam conditions. In addition, the RPA BPT Revision Course Trial Examination is made available to all trainees and can also be held under exam conditions. We also pool resources with other NSW Networks to share trial exams that are held under exam conditions and marked collectively to produce a larger cohort bell curve, to provide trainees better feedback of their progress. 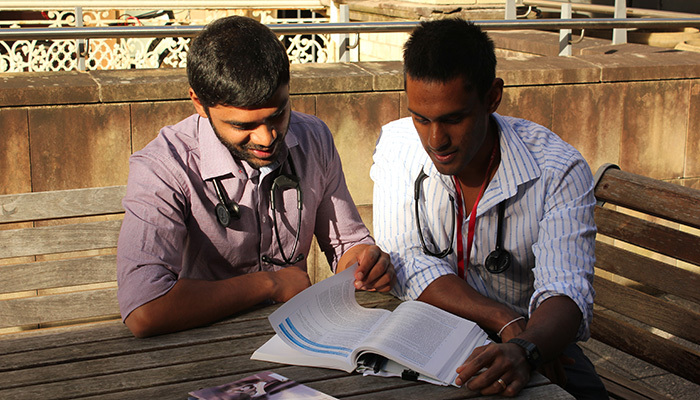 In addition to the internal network lecture program, the RPA Network also hosts and runs a revision course (http://www.rpacourse.com.au), aimed at preparing trainees for the FRACP Written Examination. This intensive two-week course, held at RPA in October/ November includes lectures and MCQ sessions in the major subspecialty areas from RPA clinicians and guest lecturers. All trainees who plan to sit the FRACP Written Examination in February will have the opportunity to apply to attend a revision course during the preceding year if they choose to do so. This includes the RPA course, but also the choice to attend either of the other two revision courses (DeltaMed in Melbourne or Dunedin in New Zealand).